Luigino Caliaro is an Italian aviation photographer that lives in Monteviale, a lovely small town located in the hills around Vicenza, Northern Italy.Unable to become a military pilot due to his eyesight, Luigino became a contributor to some Italian aviation magazines beginning in 1994. His main interest being aviation photography, he focused his efforts in that area. Beginning in 1995, he began flying photo sorties from military aircraft, starting out in the rear seat of an RAF Tucano. Since that time, he has photographed many of the world’s most advanced military jet aircraft air-to-air, including the F-15, F-16, F/A-18, Tornado, Mirage, Mig-29, Harrier, and B-1B (including a 6 hr mission with the Kansas ANG). 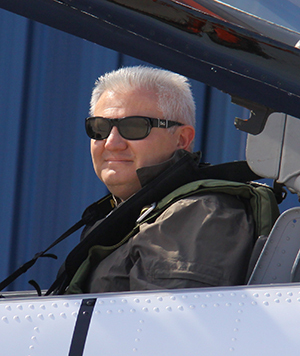 He has flown numerous photo sorties with many of the world’s premier military aerobatic demonstration teams including the USN Blue Angels, Canadian Snowbirds, Frecce Tricolori, and the Red Arrows. He is a tailhook member, having visited US Navy and French aircraft carriers several times and he has made a landing and take off in an Italian Navy Harrier from the deck of the aircraft carrier Garibaldi. Having an uncle that flew a Macchi MC 202 aircraft during World War II has led to his developing an interest in aviation history. He has flown photo sorties with aircraft from several historical aviation collections and museums from around the world, including the Warbird Heritage Foundation. 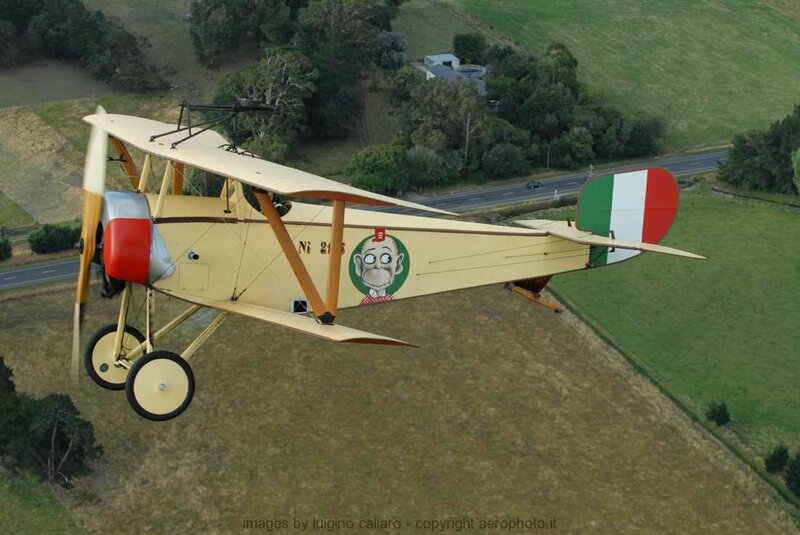 Luigino is a regular contributor to several of the world’s leading aviation magazines, and is the author of several books and publications dedicated to Italian aviation history and his aerial photography. His books include HIGH FLIGHT (a photo collection of air to air pictures of military jets), LEGENDARY WARBIRDS (an air to air photo collection of World War II warbirds still flying today), and PATTUGLIE ACROBATICHE (a collection of pictures of the world’s premiere aerobatic teams). Luigino lives in Monteviale with his wife Tania and two children, Mattia and Carolina.